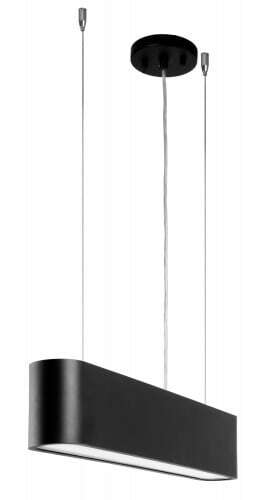 Thank you for submitting your question about Black Illumina LED 28W pendant lamp. 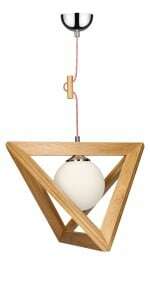 Ceiling lighting that will add, in the room where it will hang - beauty and character. Industrial lamps are usually a combination of metal or concrete, closed in an interesting form, decorate the room and fulfill their function. From the premises of our house, the presented light fitting can be used perfectly in the office, hallway, kitchen, living room or dining room. A product made of metal and acrylic. 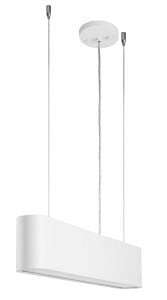 Lamp height: 120-1500 mm, width: 75 mm.